Thank you for visiting our website. M.A.S. Screenprinting would like the opportunity to earn your business. We offer a wide range of products that can help to brand your business. We have been in business since 2008 and we want to show you why we are the best in the industry. So please allow us to quote your next job. Even if you’re currently using another company, at least allow us to quote the job. We promise to save you money, time and offer you the best service in the industry. Engraved nameplates and badges let people know who you are. Engraved badges can help another person identify you. Great when meeting a person for the first time. And while walking around at a networking event. We only use quality plastic and metal. We also offer same-day service at no extra charge. Custom Screen Printing and Embroidery can help your company get more exposure. You can be your own “Walking Billboard”. This will give your business free exposure when you’re out and about. We offer the best quality shirts in the industry. We 100% guarantee that you will love the end product. We are all about delivering high-quality tee- shirts. Plus the best customer service in the industry. We offer the major brand names. Including Hanes, Adidas, and Nike. We ask for a 7-10 business turnaround time. We can rush upon request. Vinyl signage, or lettering, for your office windows or vehicles helps the public and potential clients identify you. It’s an affordable and great way to advertise your company. 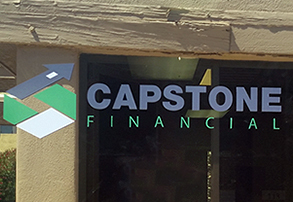 Services include large format printing, vehicle wraps, and sandwich board (A-frame) signage! Please allow 7-10 business days for your project.